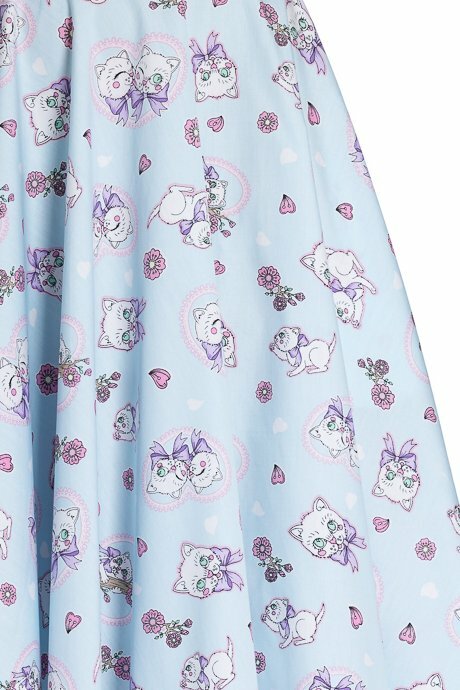 Amelia 50's style circle skirt by Hell Bunny is made from light blue 100% cotton featuring a print of white kittens, lilac bows, pink hearts and flowers. 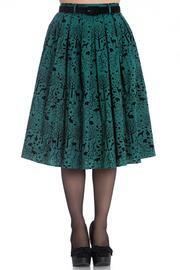 The swing skirt has zip and button at the centre back. 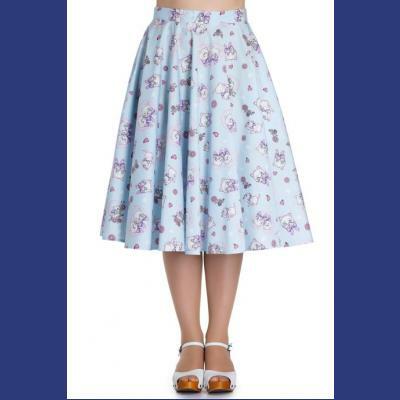 It measures approx 27 inches in length, falling below the knee. 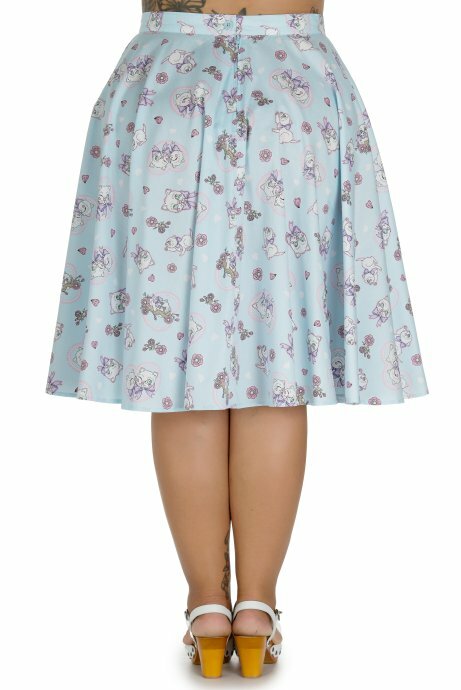 A 25 inch petticoat can be worn underneath for a fuller effect, this is available separately. Machine wash. Sizes uk8-16, plus sizes 18-22. 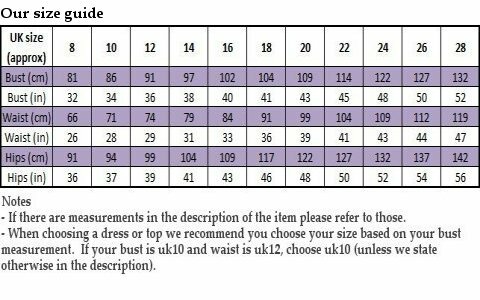 Waist XS-26in, S-28in, M-30in, L-32in, XL-34in, XXL-38in, 3X-40in, 4X-43in. Anna Cherry Bow Black Capri Trousers by Hell Bunny with Cher..